THE American Carp Society shows you How to Catch Carp! 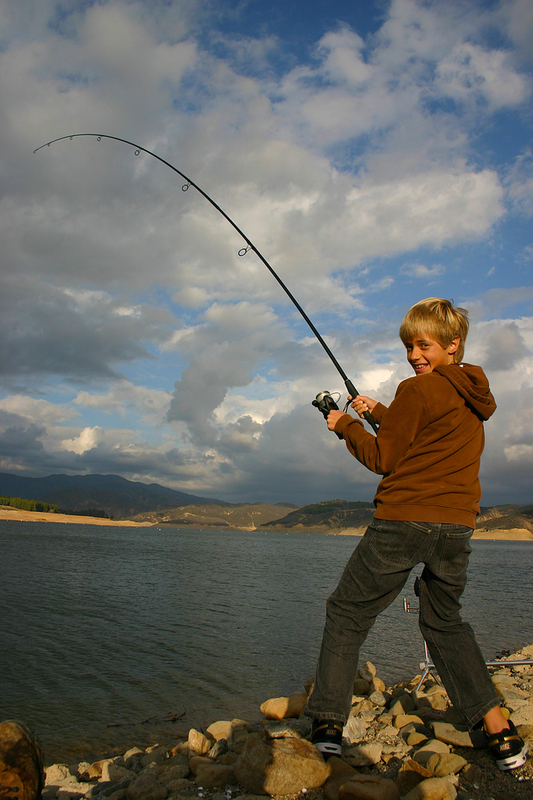 Carp angling is one of the fastest growing sports here in the USA, especially amongst young anglers. The Strength and fight of these magnificent fish is something to behold and introducing a youngster to carp angling at an early age is a very rewarding experience that will inspire them to appreciate both the skills needed to play a large fish on hook and line… and also the surroundings of the outdoor habitat that the carp are found. Not to be mistaken for ‘Asian Carp’ or any other recent invasive species, the ‘Common Carp’ (Cyprinus Carpio) are naturally found throughout most rivers and lakes within the United States. Originally brought here by the settlers many years ago as a food source and again later via a massive US Government restocking program in the 1870 through 1890s. They are now found in virtually every State in America and are as indigenous to this continent as the European settler is at this point in time. Carp however are not good table fare and have traditionally been snubbed in higher angling circles in the USA because of their history, or lack of understanding of the history of carp in the USA, though they are revered in nearly every other country in the World and have become almost mythical symbols in Japan. They are now a huge natural resource here in the USA that will teach anglers of all ages and experiences how to put their best angling skills to the test and once caught – are never forgotten. Carp angling is the most popular type of freshwater fishing in virtually every other country around the globe because for pure sport, pound for pound, they are hard to match. The Common Carp is one of the hardest fighting freshwater fish that we have here in the USA and the sport is rapidly growing with Anglers catching them using all methods of traditional angling including fly fishing! They can be caught from the bank in nearly every body of water from local ponds to large lakes, rivers and reservoirs. Once the technique is mastered they are a relatively easy fish to capture up to the 20lb mark using everyday fishing tackle, though a few specialized carp ‘rigs’ will increase your catch potential greatly and much larger fish can be caught. A 10lb carp will give the thrill of a lifetime and will push the angling skills of a youngster to the very limit. The first encounter an angler has with a carp on rod & line will likely never be forgotten! A 10lb carp will give anglers both young and mature, the thrill of a lifetime!! Carp can be witnessed in lakes jumping early in the morning just as the sun is rising and also late evening just before the sunsets. If you cannot see them you will certainly hear them as they ‘crash out’ with quite a splash just as the light is fading at the end of the day. This is a good way to locate the whereabouts of the fish. They can be caught in all depths of water from a foot to 30 feet or more. Carp usually patrol the margin areas early morning and late evening in rivers and lakes foraging for food and can be caught near reed beds, lilies and most structure relatively easily at these times of day. Warm water inlets to lakes and ponds are excellent areas to find carp as the flow of new water brings with it an ongoing supply of food for them. They are naturally shy fish so other good areas to find carp also are ‘shelves’ or ‘drop offs’ where shallower water ‘drops off’ to a deeper area where the fish will feel safe. Carp Are Never Far From Food! Locating natural food sources for the carp will also help to locate them. They feed primarily on snails, shrimps, beetles, various larvae and some plant seeds/tubers with the larger specimens also eating Crayfish and mollusks like freshwater Clams & mussels, along with both Zebra and Quagga mussels. So natural areas where these can be located are a good start. Clear patches amongst weeds and gravel can signify a carp feeding ‘zone’. Areas of high-density weed are also good areas to find carp. Carp are also opportunists and won’t be far from your local duck feeding location on the local pond. Carp will visit the shallower areas of water in winter as the suns rays will heat the water temperature more rapidly, they will also be found basking in the midday heat during summer in these same areas but will always stay close to the edge of the deeper water for safety. They can be located around any typical structure where you would find catfish as well. Carp can be caught all year round though it is harder during the very cold months as their metabolism is slower at this time of year and so they tend not to eat as much, or as often as they would in the warmer seasons. Traditionally the best times of the day to catch carp are early morning, early evening or at night though they can be caught at anytime throughout the day. They feed more aggressively under cover of darkness and so dawn and dusk tend to be the most successful times. Carp feed at all depths of the water table however are more likely to be found looking for food on the lake and riverbeds during the day, so this is the best place to start. Free-lining: The easiest way to catch carp is to go to the local pond with a loaf of bread, a size 8 hook and some 10lb line to a pretty stiff rod and you are ready for action! Carp up to 10lbs are relatively easy to catch very close to the shore and virtually all carp fishing is done from the bank. There is no need for expensive tackle and boats. You will need some patience so feeding or ‘chumming’ (where legal) an area prior to fishing always helps. If the locals feed the ducks that is the best place to start as the carp will be used to feeding on bread on that location. Alternatively, 3 or 4 kernels of canned sweetcorn (bought from your local grocery store) threaded directly onto the hook and cast out with or without a small sliding egg sinker/weight will certainly produce a carp if they are there feeding in the area you are fishing. Float Fishing: Bread can be molded around a hook and ‘free lined’ into an area with no float (bobber) or weight and the angler can just watch the line. This is a great method for ponds and very small areas of water; however one of the most exciting methods of catching carp for a youngster is to use a small float (Bobber) as the indicator. Mold the bread to the hook with just the point showing and set the depth of the float so that the bait sits on the bottom of the lake bed or pond. 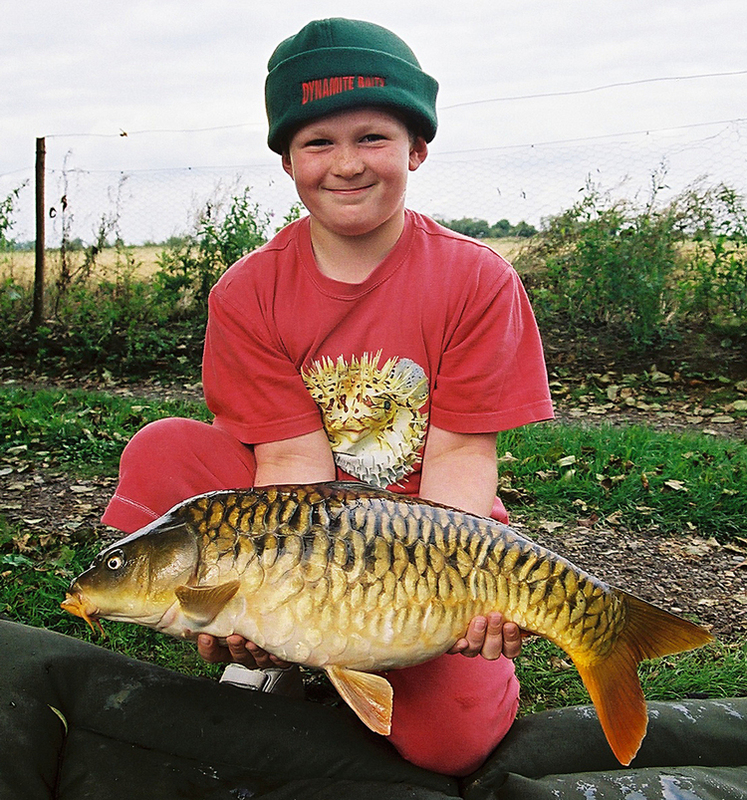 Fun for Kids and Adults alike… Carp angling is a great bank-side family sport! Make sure that the clutch of the reel is set loose so that the fish can take line a little if hooked. Once you have found a spot, whether near some reeds, lilies, under a tree or just a few feet out from the shore where the water gets a little deeper cast your line and immediately introduce few free offerings to get the fish feeding. Either a handful of sweet corn or a few pieces of bread (rolled up so that it will sink) will work and give it a few minutes for the fish to find the bait. Keep very close attention to the float as a take can be so fierce that it will literally have the rod leaving your hands so close to the shore. As soon as the float disappears lift into the fish. Any fishing tackle can be used to catch carp though a longer rod is better suited to float fishing from the shore because they allow more leverage when playing a fish and will assist when casting from the shoreline. 8-10ft is a good-sized rod for a young angler, 12ft for an adult; 8-10lb line strength is recommended and a size 8-10 hook. Traditionally a fixed spool reel with a ‘bail-arm’ is used for float fishing though bait caster style reels can of course be used. If you are float fishing then a ‘European’ style ‘waggler’ float is recommended over a traditional bobber. Wagglers are much thinner in the shape of their body and much easier to cast with accuracy. They also have better indication on bites for the carp fisherman. They can now be found in most fishing tackle stores. 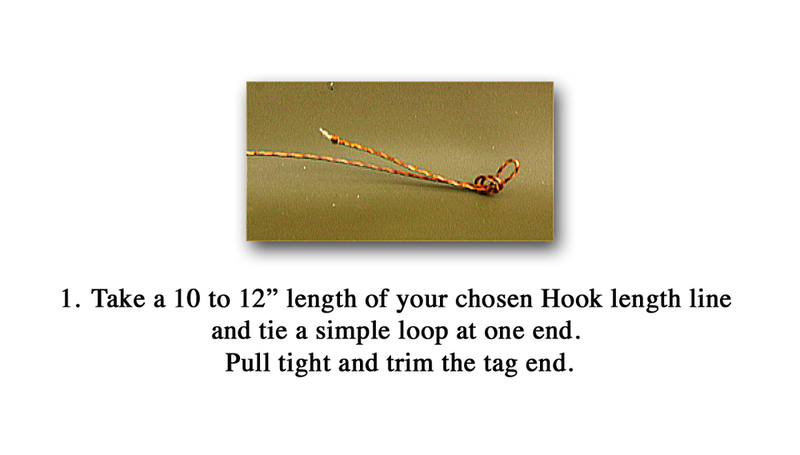 Alternatively, if you already have a 6 or 7ft medium action spinning rod (3/8 - 1oz lures) or similar sitting in the garage at home, just rig it up with a sliding egg sinker weight with a bead to stop the lead from hitting the hook (see photo below); using the line, hook and bait advice above, Carp can readily be caught from most waters here in the USA. As previously stated, the photo above shows a good carp rig made from materials most of us have in our tackle boxes right now. No need to go out and buy anything new to get started. 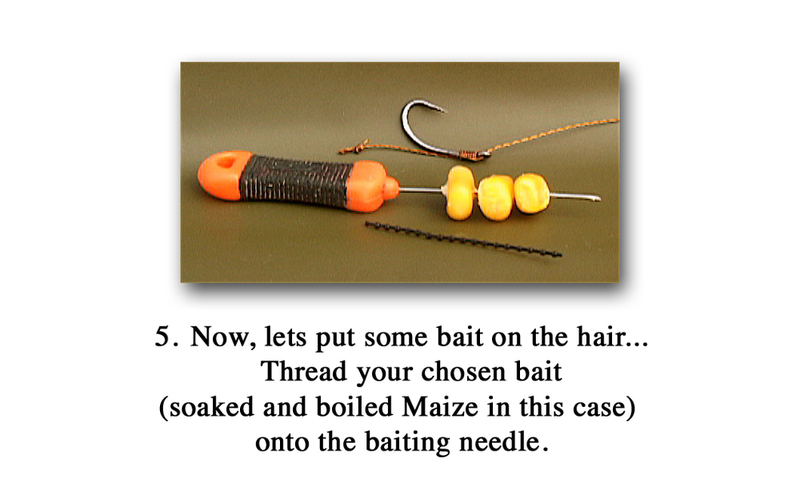 You can place the corn directly to the hook or tie a hair rig (see next section) and place the bait on the hair; either way this rig will catch you plenty of carp in the 5 to 15lbs range. Compare that with a an example of a typical European carp rig (shown to the left), It has many variations but this one shows most of the important elements that are specifically designed and developed to target & outwit the wary carp. We will cover many aspects of all these rigs and many other approaches to carp angling in the cyprinology section of our website. 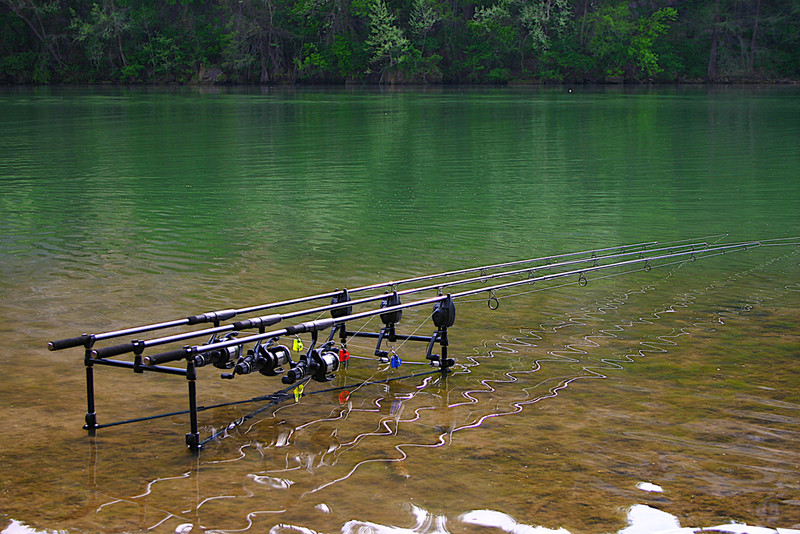 The ‘Hair Rig’ was specifically designed to catch carp. Because of the carps ability to detect the line movement and unnatural movement of bait in the water attached to line. After much work and liaising by the American Carp Society, the International Game Fish Association (IGFA) has now accepted the ‘hair rig’ as an acknowledged form of capture or ‘rig’ for carp worldwide. The use of the hair rig increases hook-up rates, decreases foul-hooked fish and translates to more fun for both the novice and experienced angler! Once you have learned to tie the hair rig once or twice it is easily remembered. 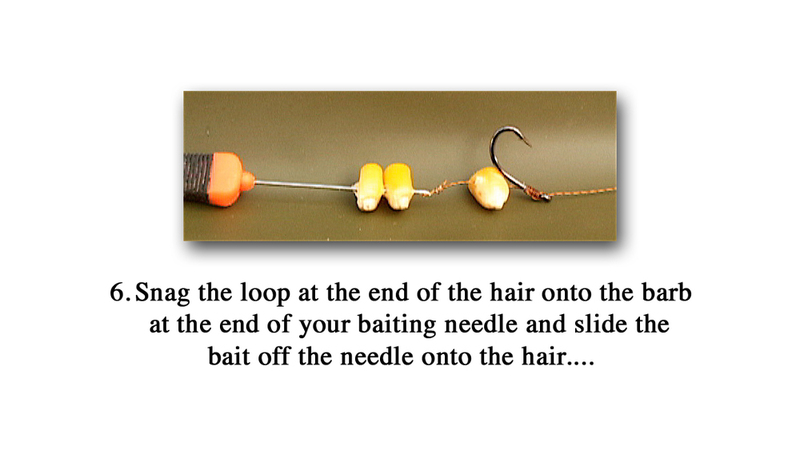 One or two grains of corn on the hair rig is a deadly method for catching carp either with a float or when ledgering or fishing on the bottom. The hair was developed to allow the free movement of the bait that is not directly attached to the hook. 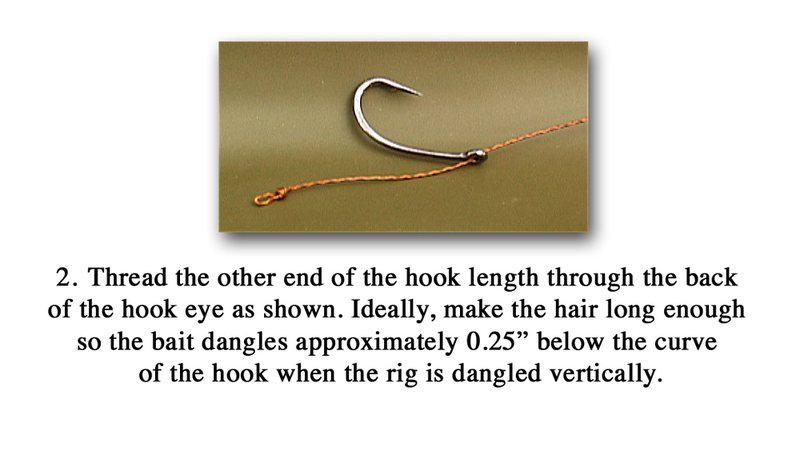 So, the hair rig allows the bait to move independently from the hook and will significantly increase your capture rate. As above, Sweet corn and bread are two of the best baits to use for carp but nightcrawlers (earthworms) are excellent as well. For bigger fish and longer fishing sessions hard boiled baits or ‘boilies’ as they are known are excellent to use on a hair rig. They really do tend to catch the bigger fish. Boilies come in all colors and sizes. Some of the most popular flavors in the USA are Pineapple and Strawberry. They can be fished directly on the bottom of the lake or ‘popped up’ if needed to avoid bottom debris. Both bait presentations work extremely well. To preserve the fish for others to enjoy, especially those larger than 10/15lbs, it is important to release the fish unharmed. Who knows you may catch him again when he’s a 70lber! Catch the carp, have fun and take some pictures to post on the Internet/Social Media platforms to show your friends but always put the care of the fish first. The American Carp Society was formed to ensure the well-being and future of our carp, carp waters and future carp anglers here in the USA. Please support us in assisting our goal of preserving our Trophy fish and the continuing education of Anglers on Carp fishing. To promote the Carp as one of the USA’s hardest fighting trophy freshwater sport fish and to encourage the sport of catch and release Carp angling throughout the country to people of all ages, ensuring the preservation of both our Trophy Carp and surrounding waters for the future generation of American Carp Anglers. Help preserve our natural resources for future generations! Please practice C.P.R. (Catch, Photo & Release).